Washington D.C., April 11: A new study has found that the diet rich in animal protein and meat is not a good choice for health. The study, which was published in the 'American Journal of Clinical Nutrition', pointed that men who preferred animal protein over a plant-based diet suffered from a greater risk of death followed for 20 years than men having a more balanced diet. For men, whose protein source was animal-based had a 23 per cent higher risk of death. The participants in the research mainly had red meat intake. 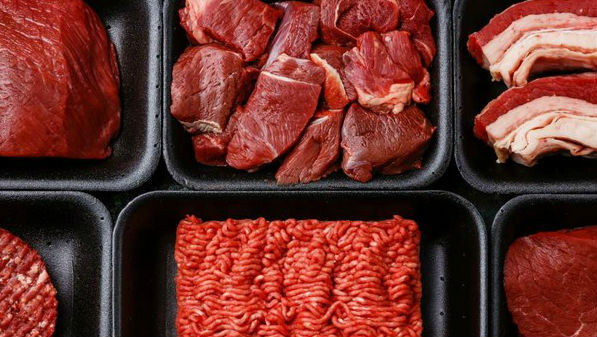 France Bans Use of 'Meat Terms' to Describe Vegan or Vegetarian Food. The mean age of the men participating in the study was 53 years at the onset. The study also found that a high overall intake of dietary protein was associated with a greater risk of death in men who had been diagnosed with type 2 diabetes, cardiovascular disease or cancer at the onset of the study. A similar association was not found in men without these diseases. Is Going for Vegan Diet Healthy? Pros and Cons of Veganism. The analyses focused on the associations of dietary protein and protein sources with mortality during the follow-up, and other lifestyle factors and dietary habits were extensively controlled for, including the fact that those eating plenty of plant-based protein followed a healthier diet. "However, these findings should not be generalized to older people who are at a greater risk of malnutrition and whose intake of protein often remains below the recommended amount," Heli Virtanen.